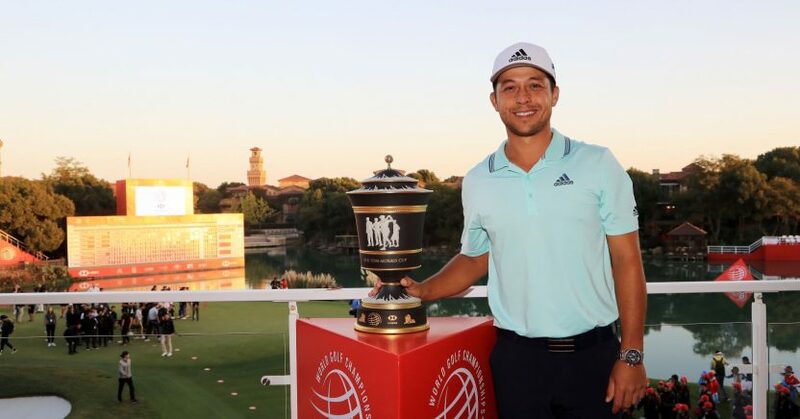 America’s Xander Schauffele claimed the biggest title of his career after beating fellow countryman Tony Finau at the first hole of a sudden-death playoff at the WGC-HSBC Champions at Sheshan International in Shanghai. Schauffele, who closed with a best-of-the-day 68, claimed victory at the par-five 18th with a birdie. It was his first victory since winning twice in his rookie year on the PGA Tour in 2017, and it secured him a first prize of $1.7 million and the coveted Old Tom Morris Trophy. With two holes to play, 25-year-old Schauffele trailed Finau by one stroke, and knew that he had to make his move. A stunning birdie at the 17th, the toughest of par threes, brought him level with Finau on 13 under par – and when both players proceeded to birdie the last, they were taken back down the 18th to do battle once more. By then, they had seen off the challenge of Justin Rose, who was bidding to become the first player since Tiger Woods in 2007 to defend a WGC title. Playing in the final group, Rose got to within one stroke of the lead with a birdie at the 7th, but he dropped shots at the 9th and 10th, and seemed to be playing catch-up from thereon in. A win would have taken the Englishman back to the top of the world rankings, but in the end he had to settle for third place after a disappointing 72 that left him four strokes in arrears.